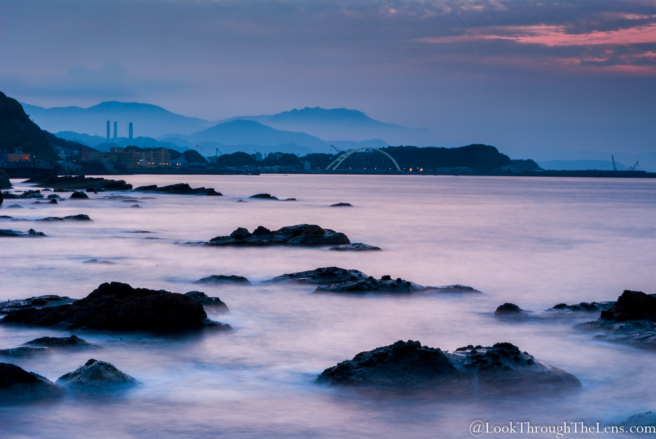 Long Exposure Attempts #1 of 10: Keelung Wangyougu – Look Through The Lens? Will you? Finally tried several different techniques for this: long (really) long exposure at sunset (I didn’t take my ND filter so poor Christine had to wait until it was dark enough)… and I managed to ‘spot’ a lot of grit on the lens. Thanks to Kenny, Filipe, I finally figured out how to use WB tool!